Hi, it’s Stephen Wolfing, science expert at the Greenygrey. I saw an interesting story about plants recently. 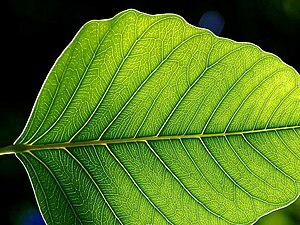 It reported that photosensitive molecules in their leaves gather intelligence about sunlight, and make stems grow in a certain direction to reach light and reap its benefits. They will also compete with other plants and living organisms to survive and grow. I found it intriguing to think that something that seems so random and accidental as plant growth actually has a kind of ‘thought’ and ‘knowledge’ about it. These are of course the three dimensions of the greenYgrey Y. And the dissecting of the greenygrey Y into its three dimensions, which I think is a first in etymological science, is reminiscent of the advances in nanotechnology. At the tiniest levels of life scientists are finding traits such as competition for survival and prosperity that still rule human society, which is considered the most advanced (by humanity), and some claim special (special humans), amongst Earth’s life. As we think most of our readers are humans, we thought we’d provide a D human representative to epitomise growth. We have chosen Debbie Harry. Debbie had a hard early life, being adopted, but grew into the icon of her generation as the lead singer of Blondie. And not only was Debbie a beautiful and brilliant singer, but she also stuck by her long-term partner and bandmate, Chris Stein, when he suffered a debilitating illness for several years. So not only did Debbie have to fight and learn to survive, but she also grew up with strong personal morals. The book was made possible by using technology that has emerged in the digital age. Companies providing the broadband, software and websites include: Virgin, Amazon, Google, WordPress, Wikipedia, Photo Impact, Microsoft, Facebook and Koalanet (Aussie slang words). The author was grateful to acquire friends, readers, inspiration and information through the social media on some of those websites. Family and friends in the real world are also appreciated. Thanks also to those who have published, bought and praised the author’s previous work. Writing Magazine provided most of the creative writing advice and instruction learnt before and during the writing of this book. The writer learnt most of his old rock from Kerrang and Classic Rock magazines, and usually listened to Planet Rock radio while working on the book. Comedy was learnt from cartoons, comics, television, magazines, films, books, people and animals from the 1960s to the present. Dr. Marc Latham has been editing for seventeen years: eleven years of further education and six years of creative writing. He took a six-month career break to finish the book. Researching the book was both an enjoyable form of escapism and an informative geography lesson; the author was often sent on a trip down memory lane, and maybe that’s what the dust sandy path (yellow brick road) is all about. Hi, it’s Susie Dentinfang, word expert at the Greenygrey and Countdown to the Full Moon. Today we have a great greenygrey synonym to stimulate your hippocampus. The coexistence of opposing attitudes or feelings, such as love and hate, toward a person, object, or idea. Moreover, ambivalent is also a ten-letter word. And with a little imagination, it could probably be split into two separate words either side of the a, as green and grey are connected by a y for greenygrey: ambiv-a-lent. Using images is a proven method to memorise things, so to remember ambivalent as a synonym of greenygrey it might be a good idea to associate ambiv with green, and lent with grey. Y? Yes, that’s right, the y goes with a! The researchers… suggest sharks evolved this ability from an ancient organism that would have used these hormones to change their skin pigmentation from light to dark (or vice versa) as a form of camouflage. So while melatonin would’ve lightened the skin of this predecessor, prolactin would have darkened it. Today, these hormones would work as a type of pigment shade, either moving the pigment cells in front of the light-emitting organs (covering them up) or retracting them to expose the glow. Essentially, the sharks now regulate their bioluminescence by changing the degree of pigmentation covering the photophores. In the smalleye pygmy shark, prolactin pulls the pigment shade over the photophores to dim the glow, while lantern sharks seem to have co-opted this mechanism to produce brighter and shorter bursts of light for communication. 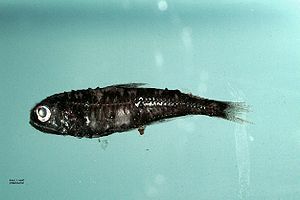 As such, Claes and his colleagues suggest the pygmy shark is more closely related to this ancestor than the lantern shark. “This study is really interesting because it suggests the pygmy shark to be the missing link in the evolution of luminescence in sharks,” Claes told LiveScience. The posts on this site list has just been updated, and there are now 211 poems on this site. Thanks to everybody who has written and read the poems. Marc Latham is hoping to publish 121 Folding Mirror poems on Amazon Kindle soon. The poems are those written after Marc Latham’s first poetry collection was published by Chipmunka. Hi, it’s the Greenygrey. 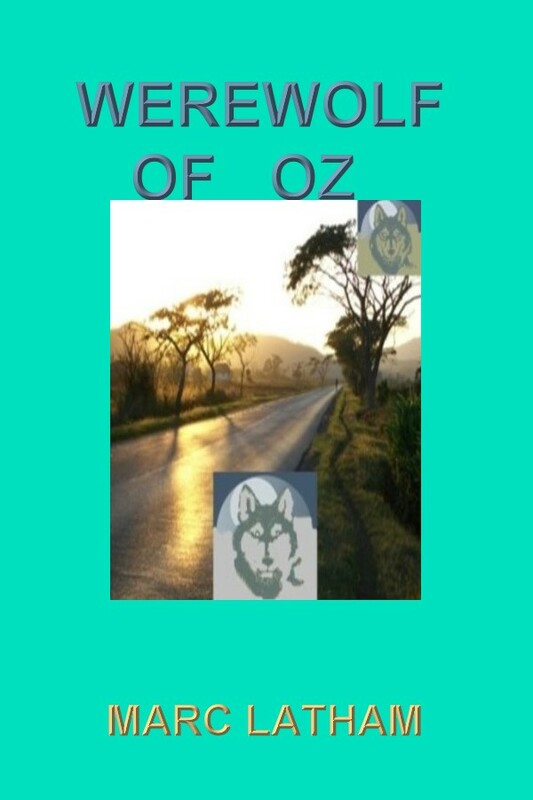 In this second instalment of the Werewolf of Oz: Fantasy Travel by Google Maps book on this blog we have the disclaimer. This book is a work of fictional parody. While it features real people and places, they are taken out of their real context and transported to the fantasy world of Oz via Google maps for this exploratory expedition into comedy fantasy – magic realism virtual travelling. Only the author has had anything to do with the creation of this book. Apologies to people and places that do not think they are portrayed positively, but it is obviously fictional, and hopefully this book will create further interest in them. The book is written from an agnostic viewpoint. Some of the material may offend religious extremists, so they are advised not to read any further. The book also contains sections involving alcoholic beverages: good times are balanced with bad. One of the reasons the writer chose Australia; the main one is of course that its nickname, Oz, ties in with the Wizard of Oz; for this journey was because he thought Australians would appreciate the humour. It was written with fondness and respect for Australia; a country where the author spent most of 1989. The book consciously provides a positive anthropomorphic view of animals, and especially the wolf. It is hoped that, in some small way, this might help the remaining wild animals in the world survive a little longer by raising awareness. Despite providing us with our ‘best friend’ dog, the wolf has suffered a particularly negative image in human cultures alienated from the wilderness. This has resulted in the wolf’s persecution and extinction in many regions of the world. This book contains material protected under International and Federal Copyright Laws and Treaties. No part of this book should be reproduced or transmitted in any form or by any means, electronic or mechanical, including photocopying, recording, or by any information storage and retrieval system without acknowledging its source. If you could also tell the author it would be appreciated. 1. You must tell 3 completely weird things about your habits. If you claim to have no weird habits, you’re lying and we’ll have to send an investigative team for further analysis. 3. Complete one the following essay questions: A. 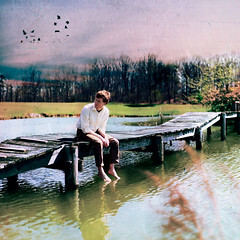 You find yourself in a desolate place when your car breaks down. You have no cellphone service, no Walmart (I know, GASP, right? ), and only a candy bar for food. It is 150 miles to the closest town. What color are your pants and why? B. You find yourself having to ride an elevator quite frequently. How do you pass the time to show off your creativity? 4. Then you are to nominate 5 random people. 5. Make sure to show proper gratitude to the person who nominated you whether that is to shower them with gifts, prizes, and cash or to see that they are put into a clown costume and photographed for internet mocking. 6. Make sure to post the award somewhere other than the underside of the toilet seat. I zigzag while running through trees hoping it’ll sharpen my body, mind and spirit. Awaken me. Sometimes I pretend I’m a wolf while running. I write as a vegetarian werewolf on the Greenygrey website. Task 3: You find yourself in a desolate place when your car breaks down. You have no cellphone service, no Walmart, and only a candy bar for food. It is 150 miles to the closest town. What color are your pants and why? They’re sandy, because I’m in the desert, and my pants can chameleonise. Tasks 5 and 6 have been completed with the writing of this blog, so that’s it. Thanks again to Jennifer, good luck to all the deserving nominees, and thanks for reading.